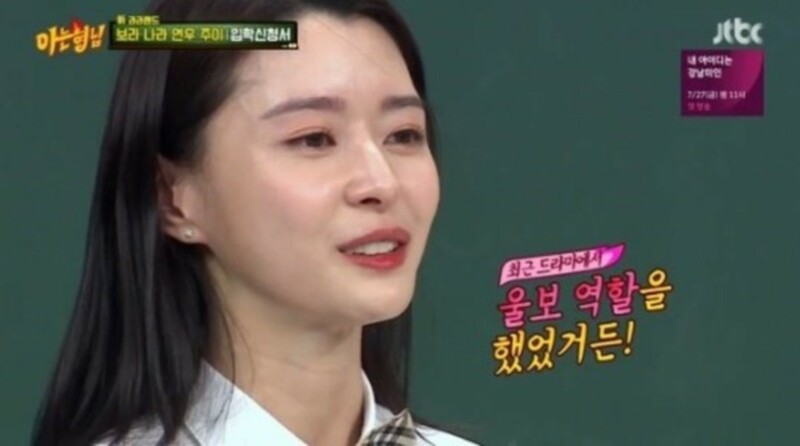 Nara teared up over Hello Venus on the July 7th 'Knowing Brothers'. Nara featured as a guest alongside Bora�and Momoland, but it seems she missed her Hello Venus members. She expressed, "My members were really jealous of me appearing on this show," and suddenly started crying. She continued, "I recently played a crybaby in a drama. It's because it hasn't been that long since I wrapped up the series." The 'Knowing Brothers' cast members spoke up for Nara, saying, "'Knowing Brothers' is an open country for Hello Venus," "We're not that big of a show," and "Let's call Hello Venus on as guests for next week."